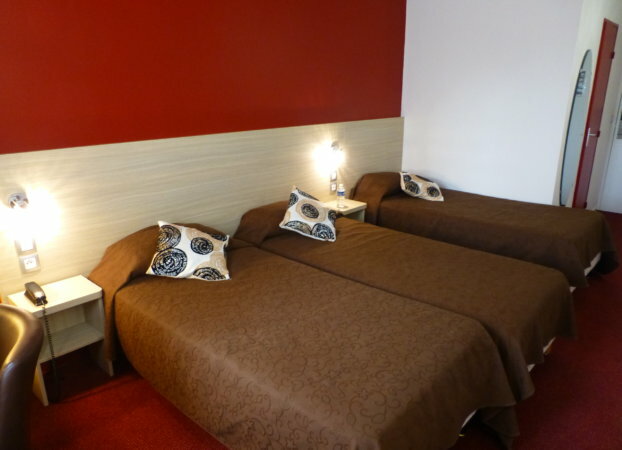 Every room has its private bathroom. 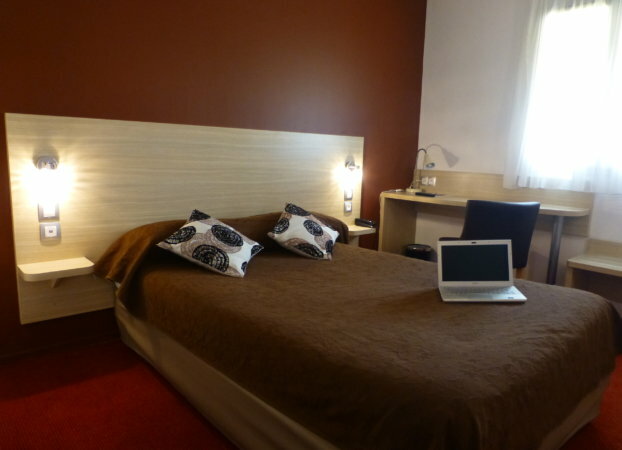 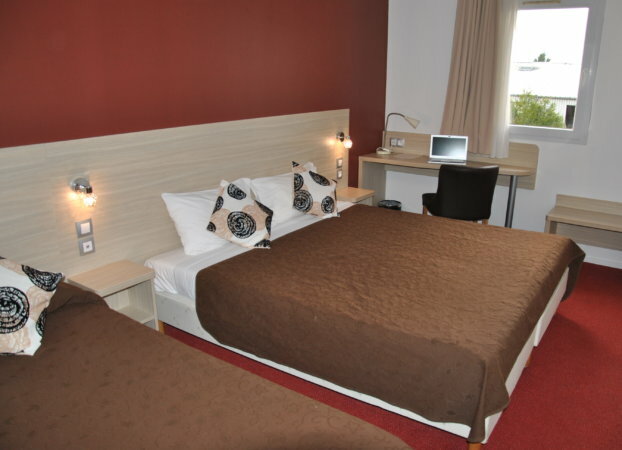 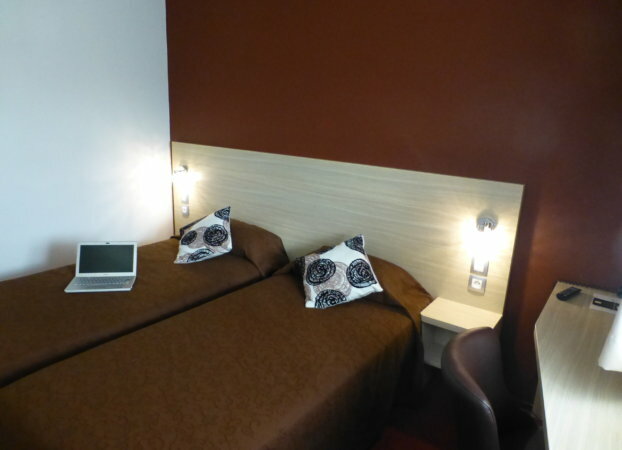 They are all quiet and comfortable and have a flat screen (Canal+, CANALSAT and RMC Sport), a free WiFi access. 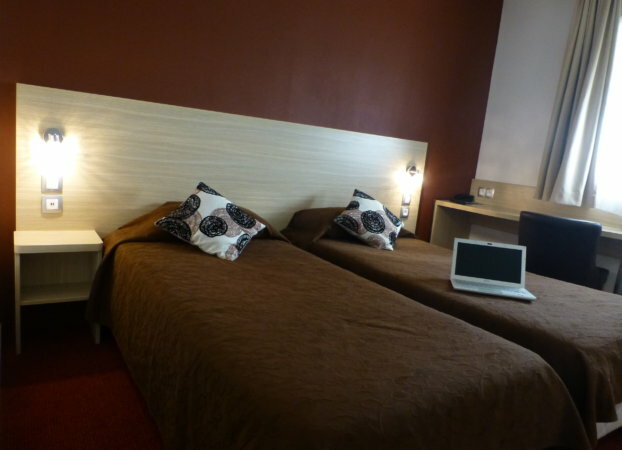 For the parents travelling with the children, the hotel proposes connecting rooms. 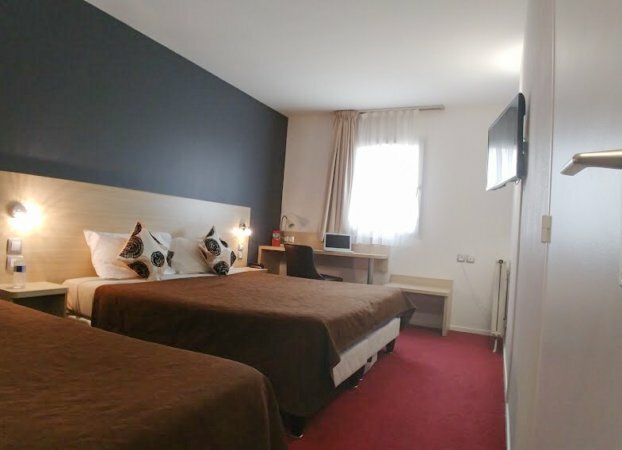 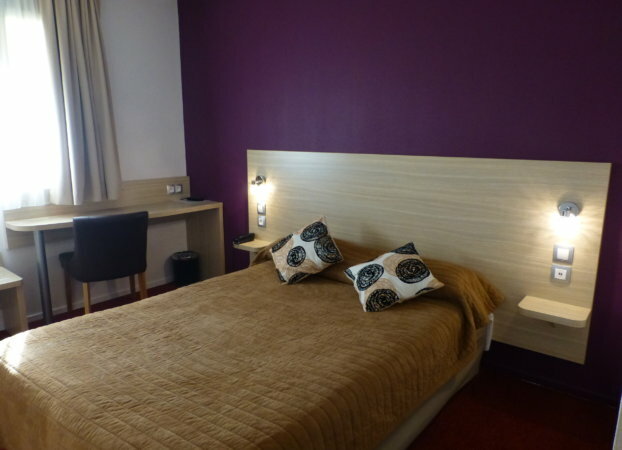 The double room, of 17m², offer a double-bed and flat-screen television (Canalsat, Canal+, RMC Sport), as well as a bathroom with bathtub or shower, free toiletries. 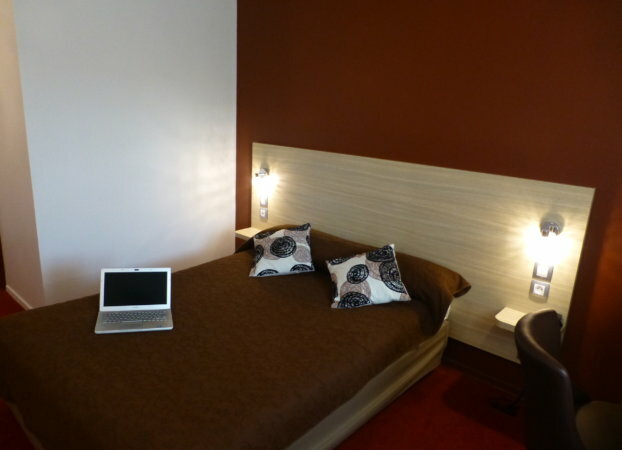 A free Wi-Fi connection is available in all the rooms. 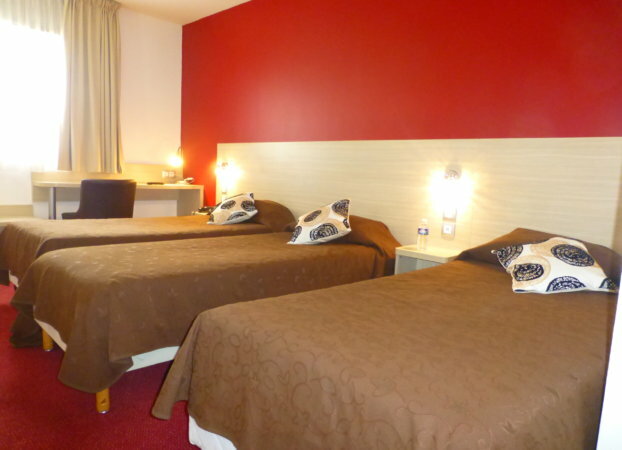 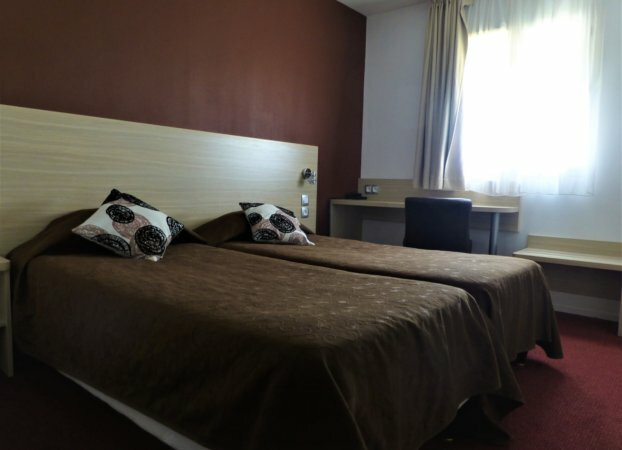 The double room, of 17m², offer 2 single side-by-side beds and flat-screen television (Canalsat, Canal+, RMC Sport), as well as a bathroom with bathtub or shower, free toiletries. 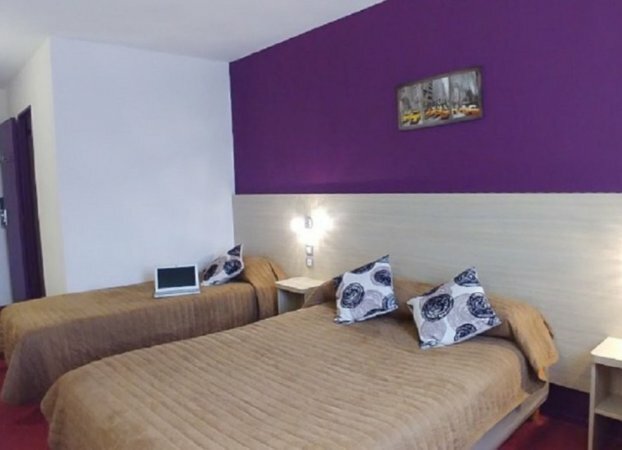 The triple room,of 22m², offer 3 single beds or a double bed + one single bed and flat-screen television (Canalsat, Canal+, RMC Sport), as well as a bathroom with bathtub or shower, free toiletries.